Thank you for donating! 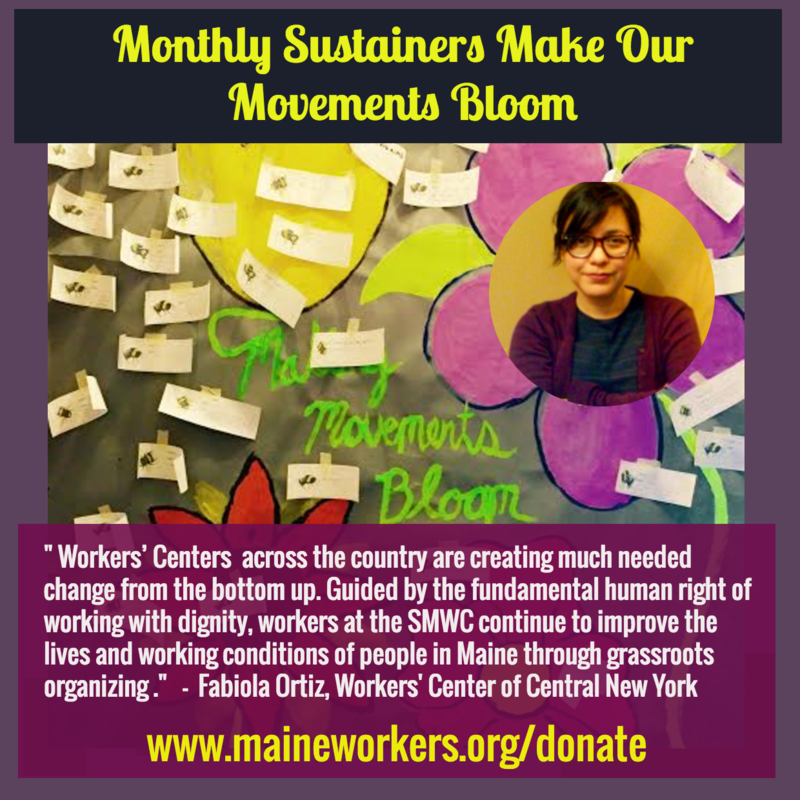 The Southern Maine Worker’ Center believes that social change must come from the grassroots–from people getting organized to demand our human rights from the workplace to the state house. Your donations do more than keep our doors open and our lights on (which they do); they also help us remain independent and accountable to our members. Please donate now to help us build a movement for racial and economic justice, workplace dignity, and the human right to health care in Maine. While all donations are significant and appreciated, monthly giving helps us to plan ahead and is the single best way for us to achieve financial sustainability as an organization. This is why many of our supporters and members elect to become monthly sustainers and spread out their donations or dues over the course of the year.